I have spoken previously on this blog about my journey to find the perfect mango/peach/passion fruit beer. When Siren announced Tickle Monster I nearly booked a day of annual leave to recover from the excitement; Life is a Peach is definitely one of my top beers of 2015 already and I am really looking forward to the launch of Brewdog’s Peach Therapy on Friday. 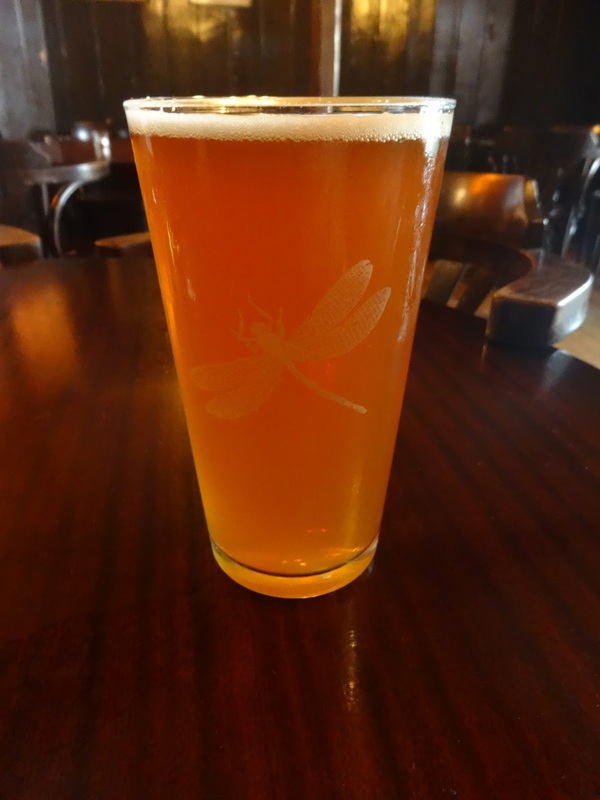 However, before that I had to head over to Acton to sample Dragonfly Brewery’s Mango and Passionfruit IPA; a beer that, on paper, should have ticked every box for me. It’s always been my dream to approach the bar and, before I get a word out, have the landlord say ‘man passion?’ to me, so imagine my delight when just that happened. To be honest, I’m not sure they’re quite there with the name yet. 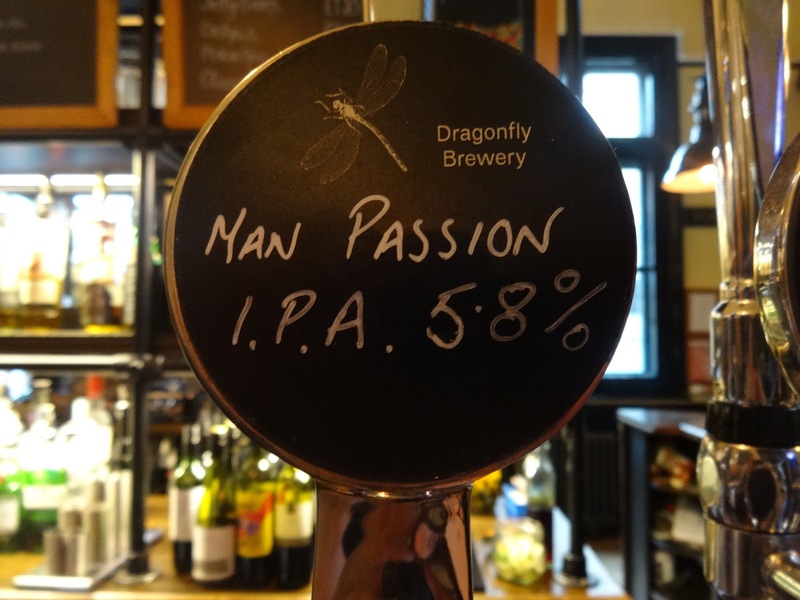 I get the humour behind it, but…a pint of man passion? Ew! Luckily, it tastes a LOT better than it sounds. I don’t want to get too technical, but this beer is good, REALLY good. The tropical, hoppy nose is an absolute delight. Mangoes and peaches and passionfruits just ooze out of it (close your eyes and you’re in the Body Shop- just don’t try washing your face with it). I was apprehensive about the taste because I expected it to be sweet, perhaps too sweet. Of course that juicy sweetness is there; those tropical aromas following through in the taste, but without becoming syrupy as can happen. In fact, it’s very balanced with a sharp, clean bitterness cutting through and cleansing the palate, preparing you for another sip. At 5.8% it’s not too strong (I guessed it at 5%), but it’s not a session beer either. That said, I managed to put 3 pints of it away and, had it not been a Sunday, I probably could have managed a few more. It’s rare that I’ll stick to one beer all night, but for this I could make an exception. Finding good beer in the north west of London can be a bit tricky; we’re certainly not as lucky as some of you over in the east, but I’d recommend coming over to the dark side just to spend an afternoon in the George and Dragon, home of The Dragonfly Brewery. It’s well worth the trip.